Thanks for interested. 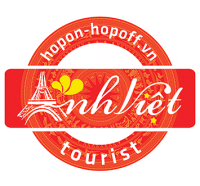 We’re pleased to offer to you the fast end easy step by step to 1-10 for booking guide travel service in hopon-hopoff.vn. Please view our video. When your payment sucess, our e-ticket send your emai and displayed in browser. You easy use e-ticket check in our tour.